Before heading for Bangkok, I spent three days doing nothing in the Southern Thai Province of Krabi. Just to rest. 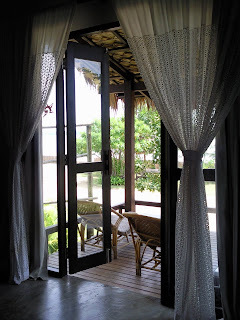 I stayed at the Islanda Eco Village Resort on Koh Klang Island, just across from Krabi town. There's only a fishers' village and the resort on the island. 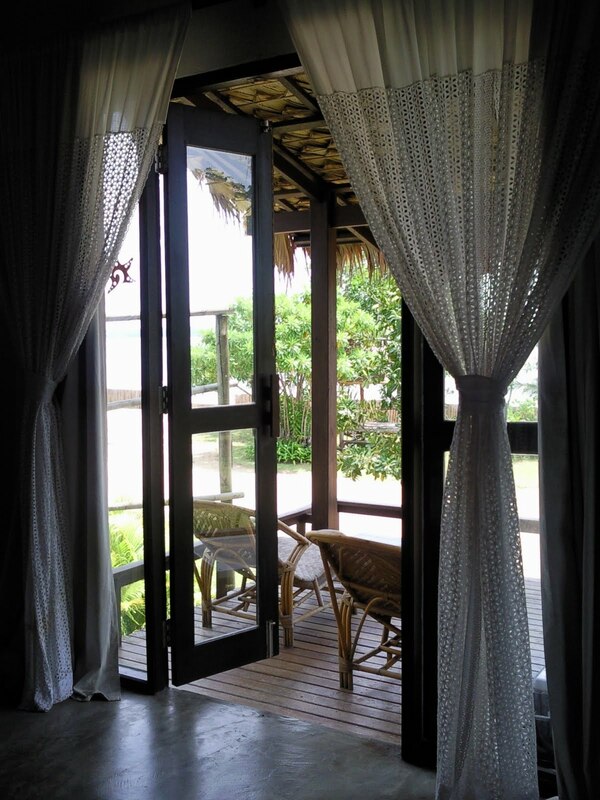 The resort has around 30 bungalows but only around four were occupied when I was there: peace and quiet. I chartered a boat to get to the resort. Twice in the middle of the sea, the boat stopped moving after a thud and to my surprise the boatman just stepped out of the boat! He was turning the boat around and the water only reached his thighs: it was still low tide... For the same reason, the boat couldn't reach the beach in front of the resort. 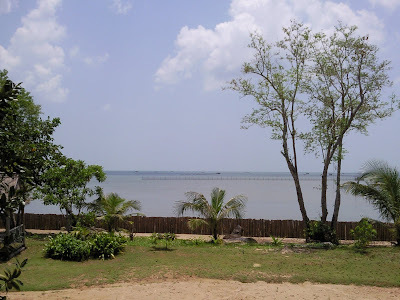 I would have had to wait a long time for high tide so I reached the hotel wading through the sea, the boatman carrying my suitcase on his shoulders. Not the grandest of arrivals, but quite exotic. The staff in the kitchen and restaurant were particularly friendly. I tried all the local Southern Thai specialties, which reminded me of the rich Malay curries. I was even allowed to buy my own chili-and-dried-fish dip from the nearby village and enjoy it with fresh vegetables and rice at the hotel. I was even given a complimentary dish from the chef at three out of the five meals I took in the hotel restaurant. First a coconut syrup dessert; another time a fruit platter; at my last lunch I was given a plate of five king prawns, grilled with sweet and sour topping, compliments from the chef! After all this, the least I can do is make some free advertisement for this great resort.